Before we get into how you can increase your impression share in AdWords, let’s refresh our memories on some of the basic concepts and terms. As you probably already know, impressions in AdWords simply represent the amount of times your ad was shown in the search results. Your impression share is the percentage of times that your ad was shown out of all the times it was qualified to show. 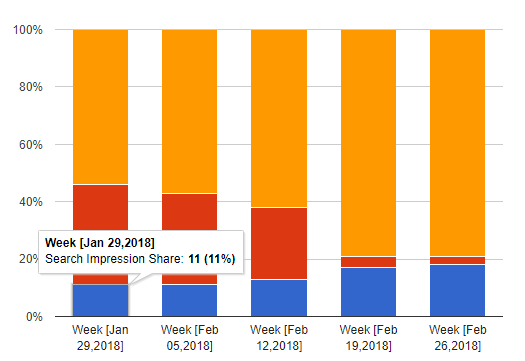 In this graph you can see that the impression share for this was particular week is 11%. This means that these ads were only shown 11% out of all the times this they were eligible to show. You may be wondering “What’s considered a good impression share?” but, like many aspects of paid search, this depends on the overall goals of your campaigns and how your account is structured. So, now that we have a good understanding on what impression share is, the real question is how can you increase it? 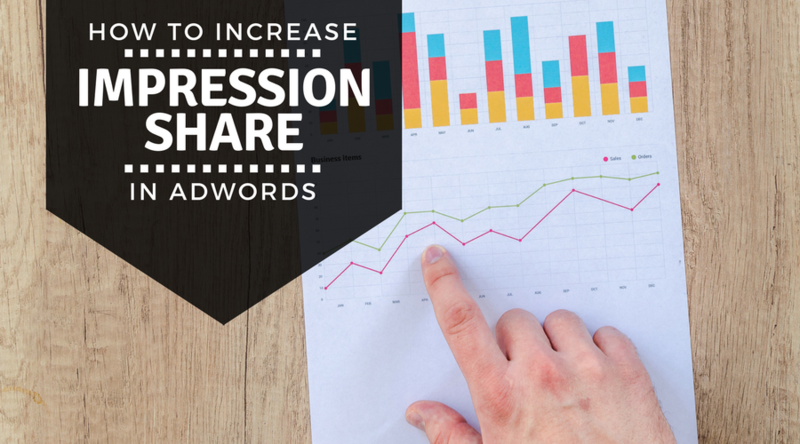 In order to increase impression share, you’ll have to first determine where you’re losing impressions. The first area you’re losing on impression share is your budget. If your budget is too low, your ads may be getting exhausted during the first part of the day which prevents your ads from showing up later in the day for users searching on your keywords. You can see above that the impression share lost to budget in this example is 35%. So, this is basically saying that these ads weren’t shown 35% of the times they were eligible to because the budget was too low. 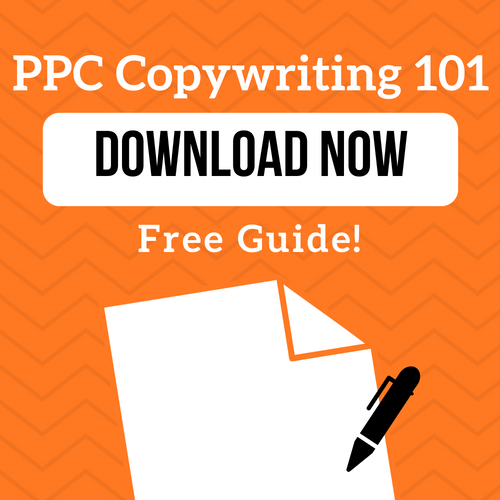 Aside from a low budget, a low ad rank can also cause your impression share to decrease. 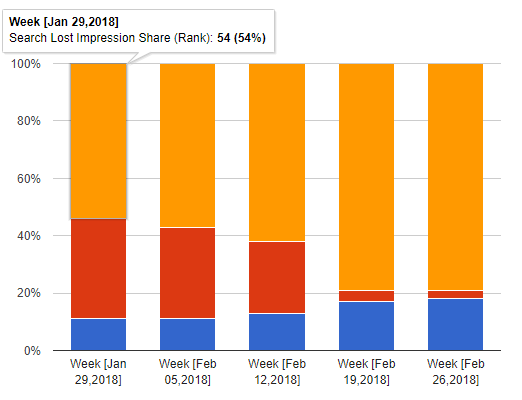 In the graph above, you can see that the yellow portion represents the impression share lost to ad rank, which in this example is 54%. As I discussed in a previous blog, ad rank is made up of your bid and our quality score; therefore if you’re losing a lot of your impression share to a low ad rank, it could indicate an issue with your bids or the quality of your ad copy. So, what can you do to increase impression share? This is the easiest way to increase your impression share as long as you have the means to increase your budget. But just because you’re increasing a budget for a certain campaign doesn’t mean that the overall budget for your account has to increase drastically. In some cases, simply redistributing your current budget between your campaigns can increase your impression share. So how do you know which ones to increase? 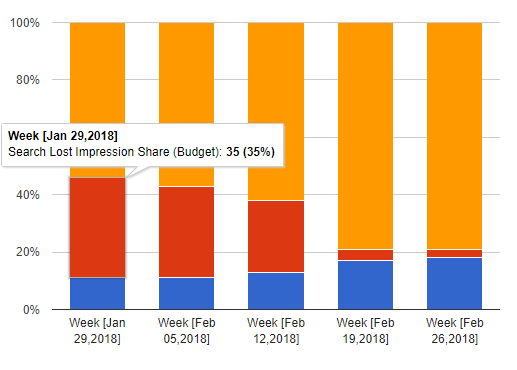 To determine this, you’ll first want to add the ‘Search lost IS (budget)’ column to your campaigns in AdWords to wee which of your campaigns are losing impression share to a low budget. 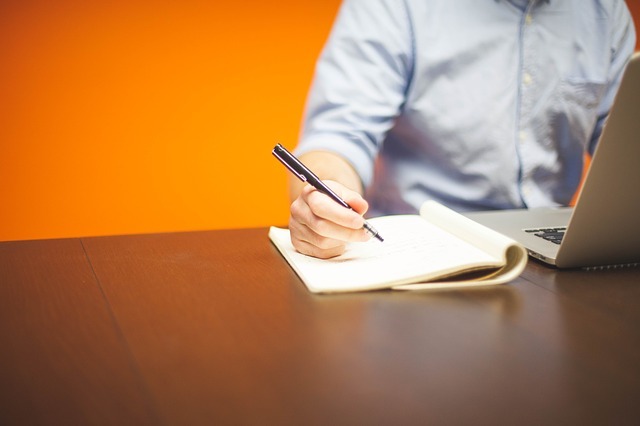 Once you identify which of your campaign’s budgets should be increased you can increase their budgets and potentially decrease budgets of any low performing campaigns. When your campaigns are first starting off, the biggest lost portion of your impression share will probably due to a low ad rank. Since ad rank is made up of your bid and your quality score, you’ll want to look into these two components in order to increase your impression share. 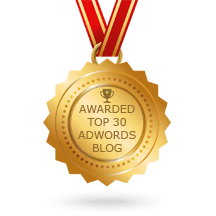 The first thing you’ll want to look into is your bids; are you bidding high enough on your top performing keywords? The marketplace is constantly changing so even if your bid was high enough to make it to the first page a week ago, it might be too low this week. If your bids aren’t the issue, you may need to work on your Quality Score. Quality Score is made up of clickthrough rate, ad relevance and landing page relevance; below are ways you can increase these components that make up quality score. Check out our post on Quality Score for more details on how to improve your score. The final way you can improve your impression share is to try targeting a more specific audience. Instead of focusing on trying to increase your impression share for the US as a whole, a better tactic would be to improve your geo-targeting to specific areas that have performed well in the past. This way you can focus on having your ad shown to a smaller audience of users that are more likely to convert, rather than focusing just on the amount of impressions your ad receives. What’s a good impression share? So, should you be worried if your impression share starts to dip? 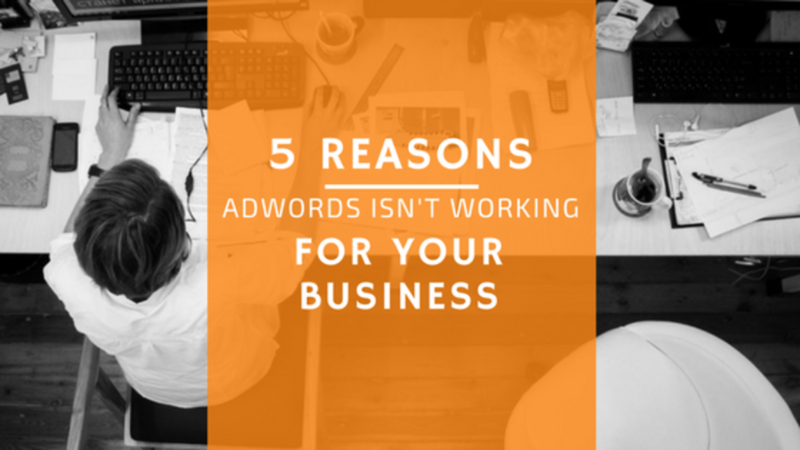 Well not necessarily; it depends on the competitiveness of your keywords and how you’ve set up your targeting. For instance, your brand terms are generally not very competitive keywords, so you should hope to be seeing an impression share closer to 100% here. In contrast, for a keyword such as ‘women’s dresses’, you’re inevitably going to lose impression share due to a low Ad Rank, as many more businesses will be bidding on it. Similarly, the more specific your geo-targeting is set, the higher you can expect your impression share to be.